"New construction homes get inspected dozens of times by municipal inspectors as part of the permit process, so there is no need to hire a private home inspector if you're buying a new home." I hear that a lot. I do my best to convince home buyers otherwise, but when I'm on the phone with a potential client, I have a financial interest in talking them in to hiring me. 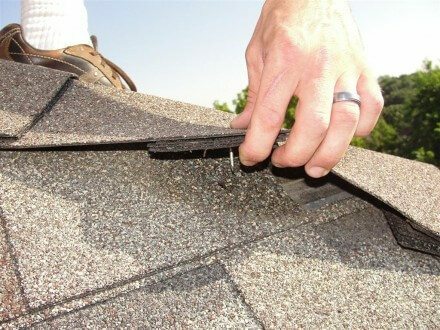 Just like the orthodontist will tell you your kid needs braces, the home inspector is going to say you need a home inspection. 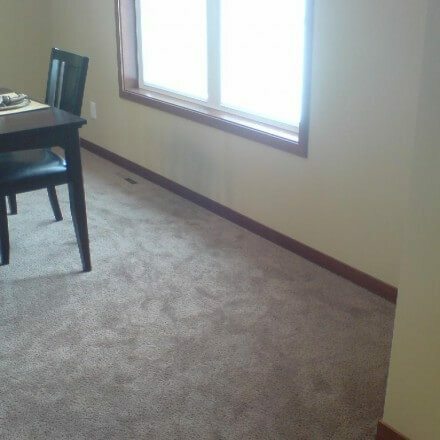 That's why I try to direct people on the phone to my blog; if these photos don't convince you that a private home inspection is a worthwhile investment on a new construction home, I don't know what will. 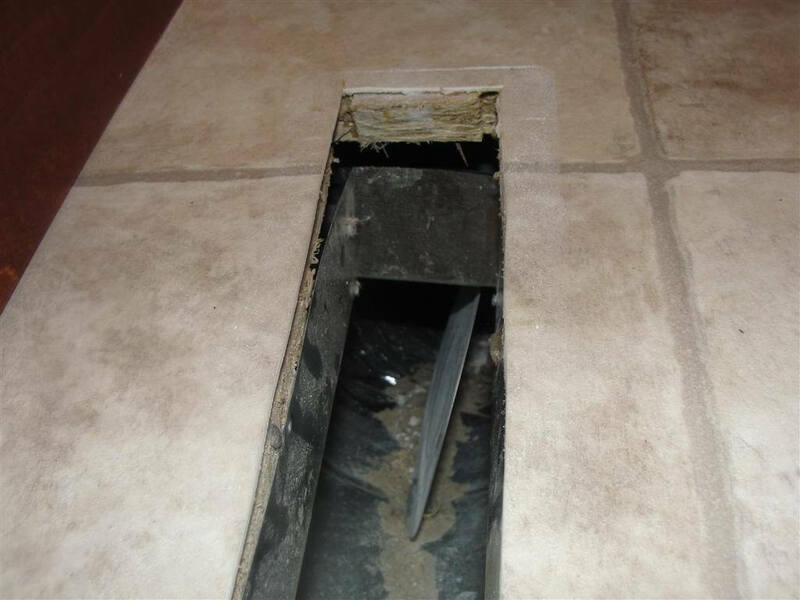 Most of the photos below were taken at new construction homes that have already been through the permit inspection process; in a couple cases, the homes were a year or two old, but the photos show defects that were original to construction. 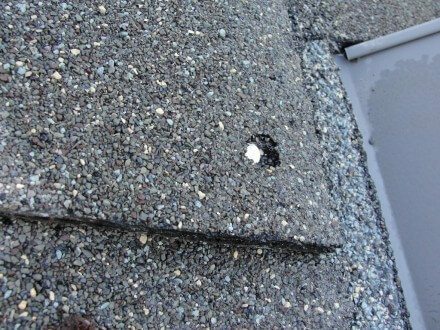 New construction roofs are not impervious to installation defects - the most common issue we find with new roof installations is improper shingle nailing. When nails are overdriven, driven at an angle, or located too high on the shingles, it's a defective installation. 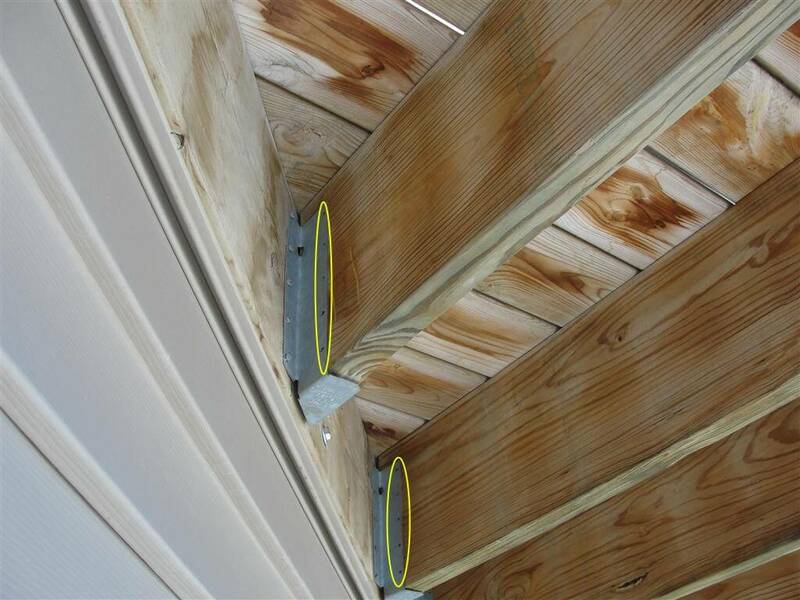 The photos below show a few examples of defective roof installations on new construction homes. 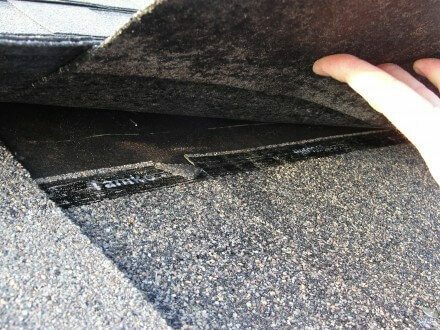 Short nails on a new roof isn't a common defect, but I've found them. In the photo below, the ridge shingles were fastened with 1-1/4" nails, which barely even touched the roof sheathing. I could pull 'em right out by hand. 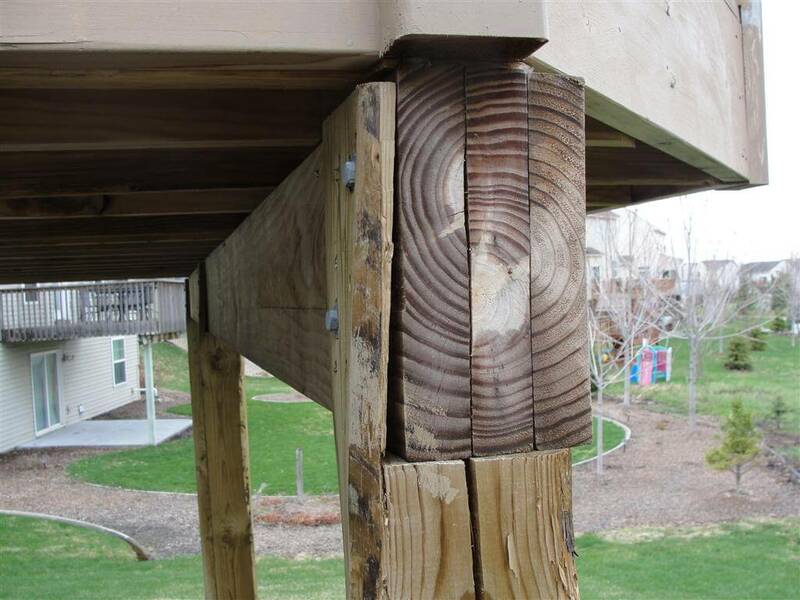 Why didn't the municipal inspectors catch these defects? Most municipal inspectors don't walk on roofs. 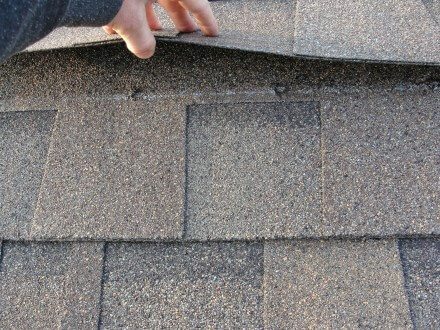 What happens when these defects are identified? In extreme cases, the roofers need to start over. Full tear-off and replacement. The photo below shows new shingles delivered on top of the existing roof that was only a week or two old. The home buyer sent me this photo to show that the builder was making good with their defective installation... that had already been approved by the municipal inspector. 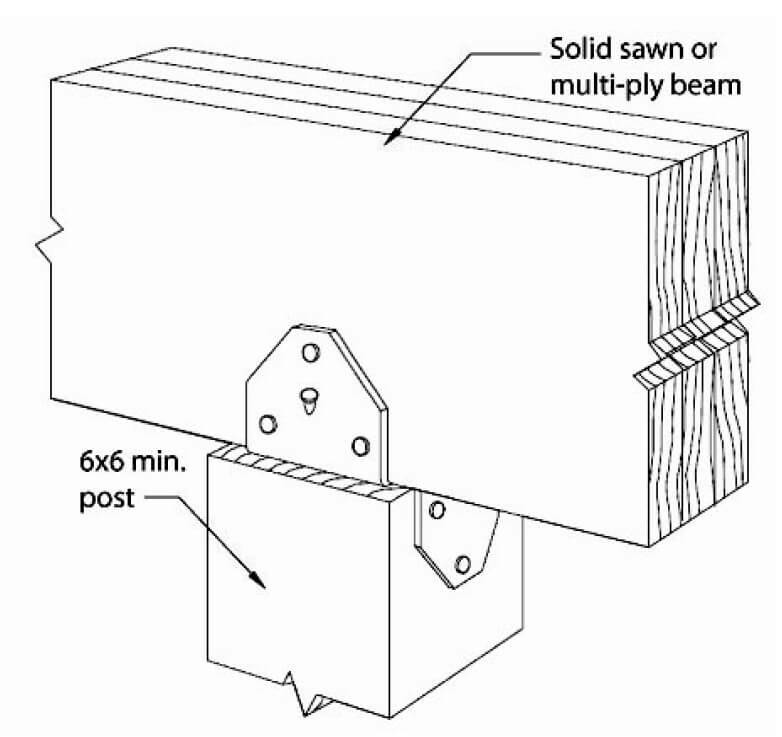 This deck beam should have been attached to the 6x6 post with a metal bracket; not bumped out over the side of the post and attached to the sliver that was left. 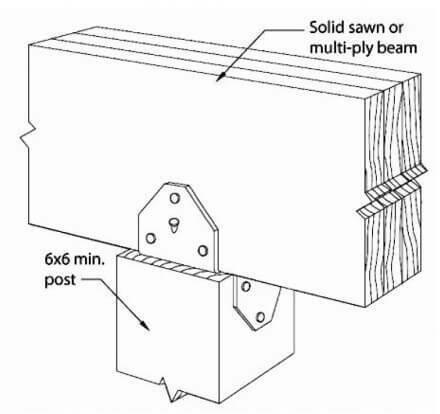 The diagram below shows what this would look like if done properly. 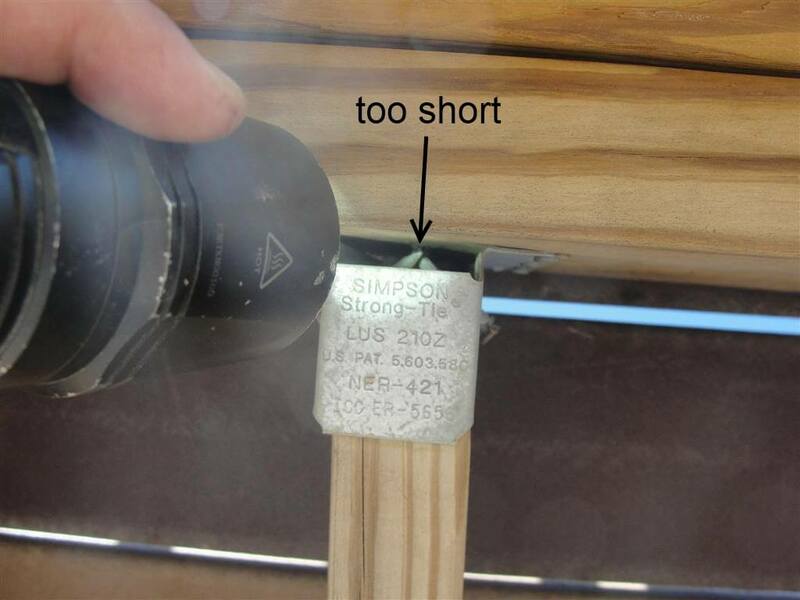 I've blogged about improper joist hanger nails before, and it's still a defect that I find on new construction. The problem with these short nails is that they don't even begin to penetrate the ledgerboard, as you can clearly see in the photo below. Sometimes the nails in joist hangers get completely missed, especially when it's the inside corner on a skewed hanger. Other times, joist hangers are forgotten about entirely. 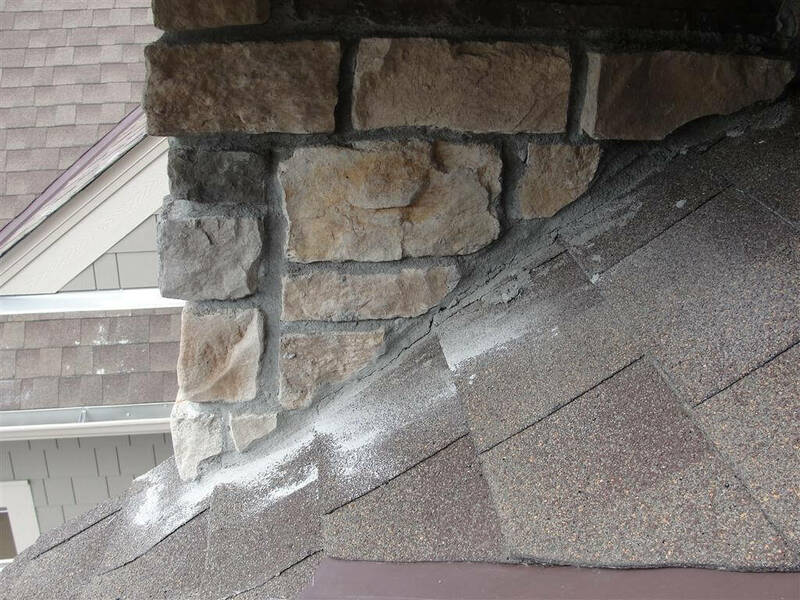 Masonry veneer (aka stone siding) installation defects are rampant. I recently blogged about stone siding installation defects, and all of the photos in that blog post came from new construction homes or new installations that were approved with permits. 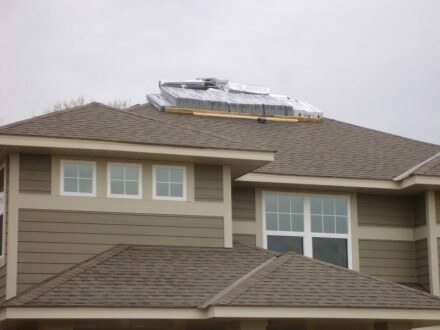 For example, masonry veneer needs to be kept 2" above the roof covering. 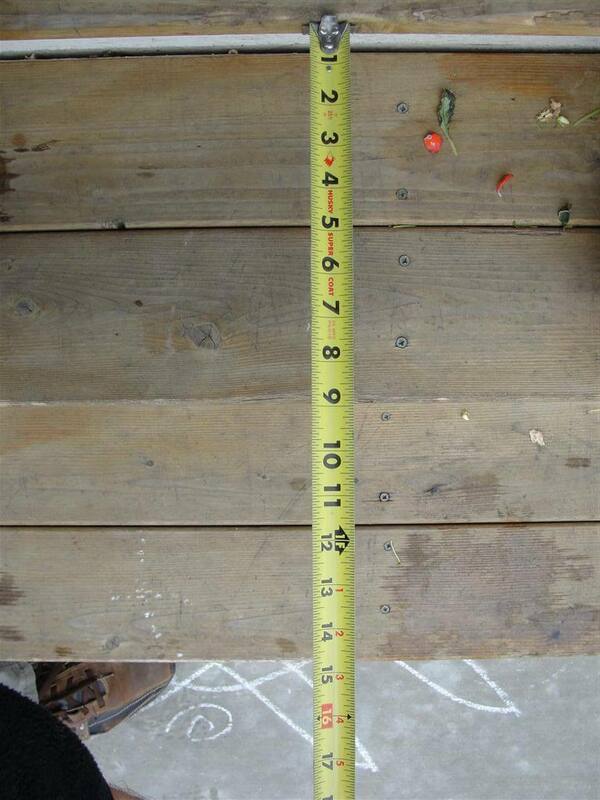 In the photo below, the mortar was actually touching the shingles, and this was located near the bottom of a valley. 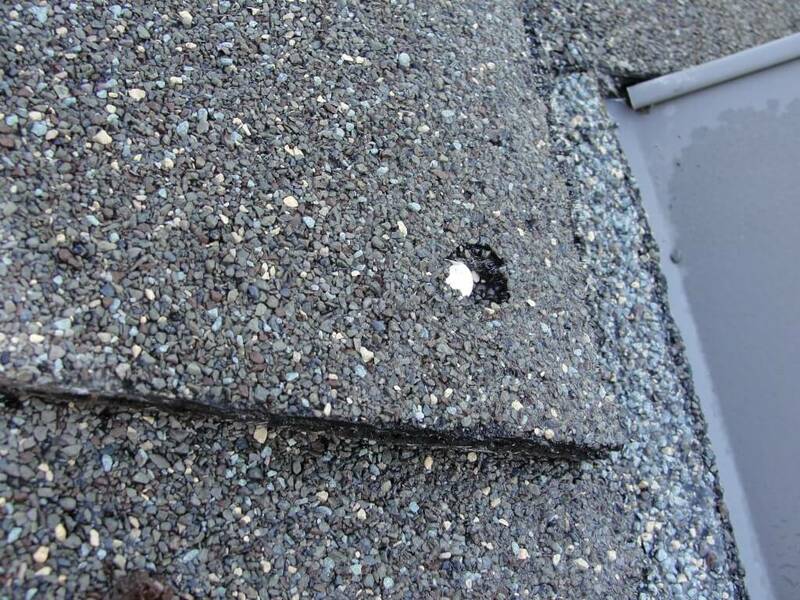 This part of the roof wasn't visible from the ground, and the municipal inspector had just recently approved the installation. 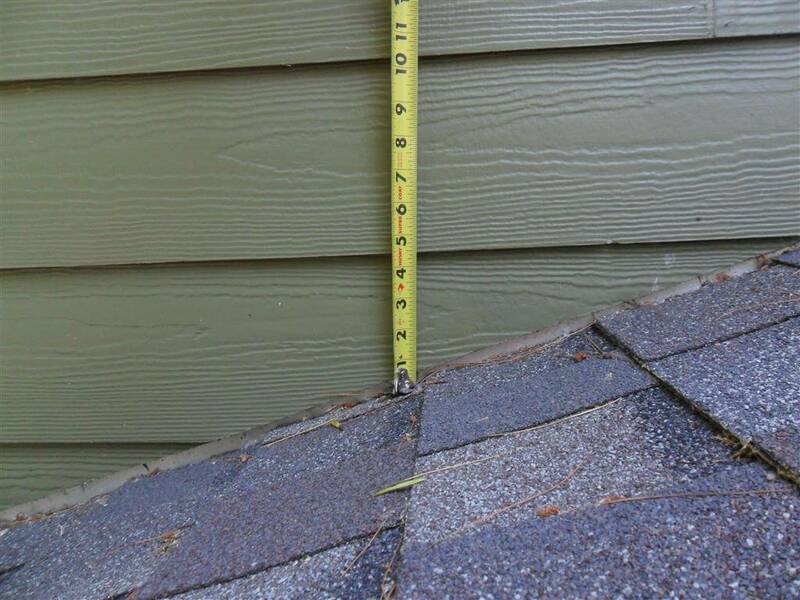 Other siding manufacturers have similar requirements for clearance to the shingles. For example, James Hardie requires a 2" gap between the bottom of the siding and the roof covering. 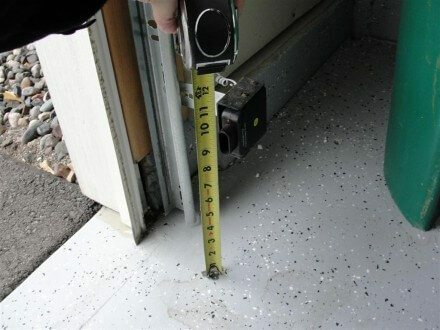 When these clearance requirements aren't met, the siding can soak up moisture and flake apart. 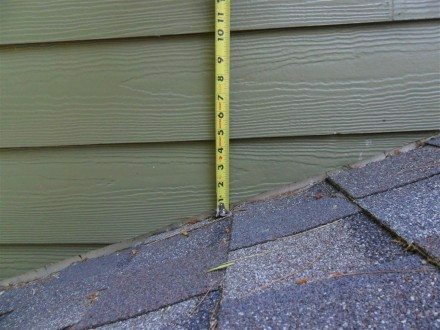 Sometimes, a private home inspector might point out an area of concern. 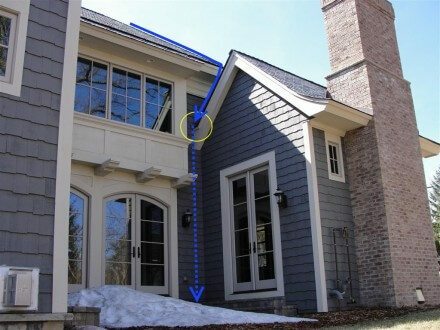 When roof lines are designed to direct water against the house, this is a concern. 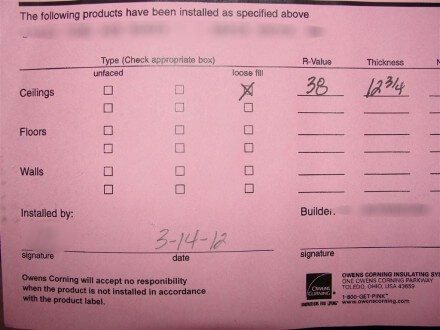 It's not necessarily a 'building code defect', but it sure isn't good planning. I took the photo below at a home that was just two years old, but was already experiencing major water intrusion problems at the area circled in yellow. 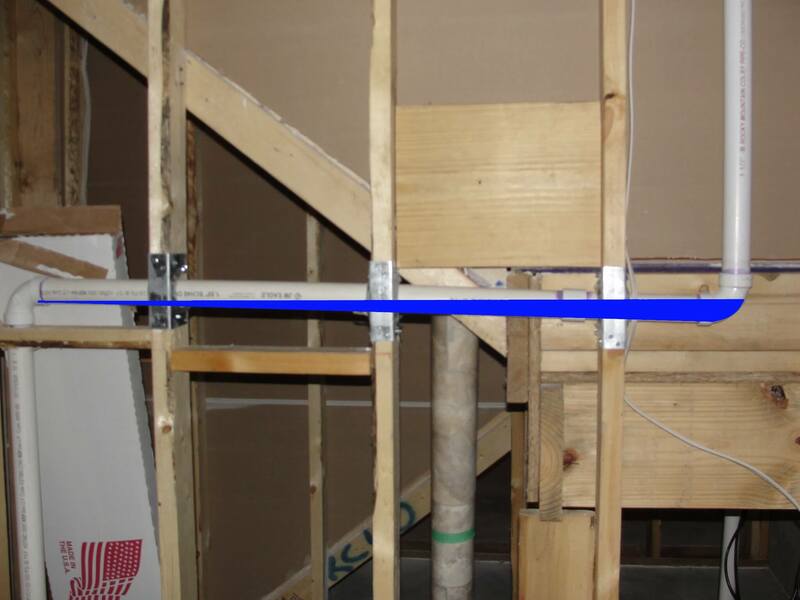 The dotted blue line shows the path water was taking inside the wall. The photo below shows the water staining that had made its way to the first floor subfloor, and was visible in the basement. Auto-reverse sensors on garage door openers need to be installed within 6" of the floor to help reduce the risk of injuries. Since 2007, the minimum tread depth on a stairway has been 10" in Minnesota. So how did these steps leading up to the front door pass inspection? 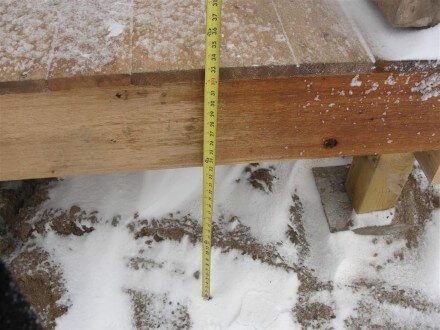 As you can see below, the front porch / deck was over 30" above the surrounding grade, so guardrails are required. 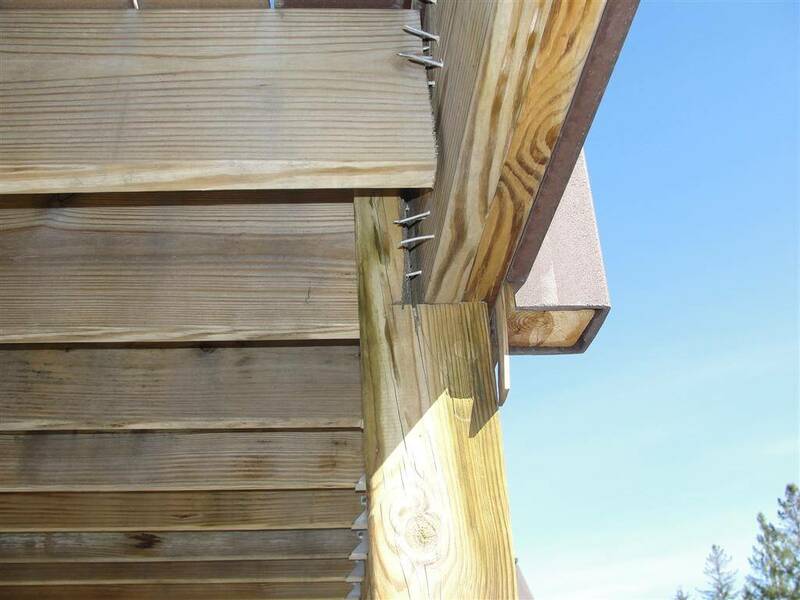 Of course, this inspection was done in the middle of the winter and the grading wasn't finished yet, so I let the buyer know that this is something that needs to be followed up on as a safety issue in the spring. If the finished grade ends up being 29 1/2" high... is it safe? 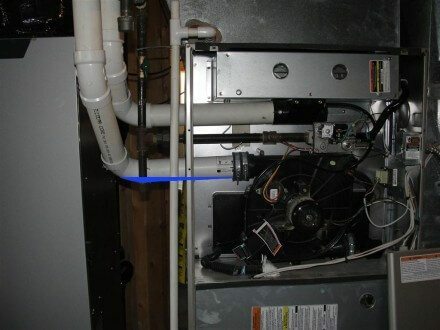 High-efficiency furnaces and water heaters need to have the venting pitched so water drains out; there should never be any dips in the piping that allow water to pool. The two photos below show improperly pitched furnace venting. I added the blue to show where water will pool. This next one was downright scary; the water heater installer forgot to glue one of the joints at the vent, and it worked itself loose. That would allow for a lot of exhaust gas in to the home. Allow me to digress for a second. If this disconnected water heater vent hadn't been discovered before the buyers moved in, how long would this have gone on for? It surely wouldn't generate enough carbon monoxide to kill anyone, but long-term exposure to low levels of carbon monoxide isn't good, and the excess moisture being dumped in to the home would surely cause moisture problems. 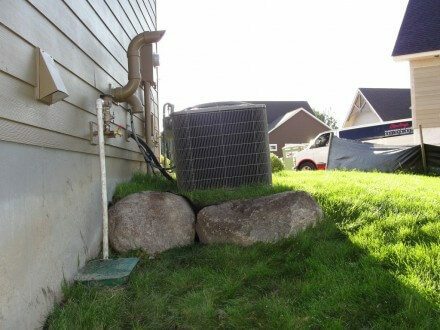 When I find stuff like this, it's usually a very quick and easy fix for the builder. 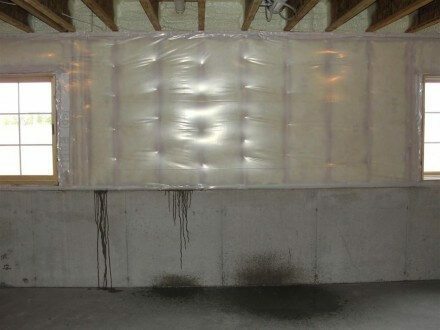 If this had been leaking exhaust gases in to the home for years, it could turn in to a nasty lawsuit. 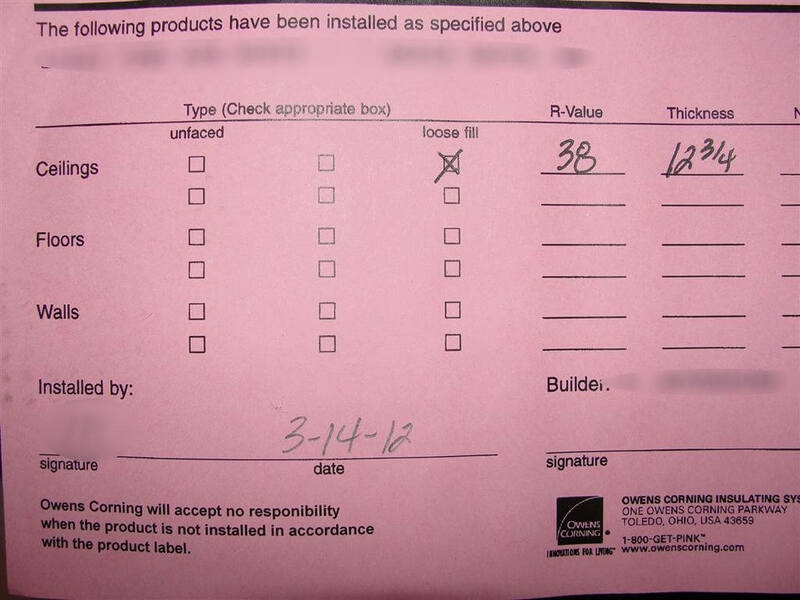 This makes me wonder why so many builders try to talk home buyers out of having private inspections. This is the home builder's chance for someone else to look over their work to identify safety issues and building performance issues that might turn in to big problems further on down the road... and the builder doesn't even pay for the home inspection, the buyer does! Builders ought to be encouraging buyers to get home inspections. 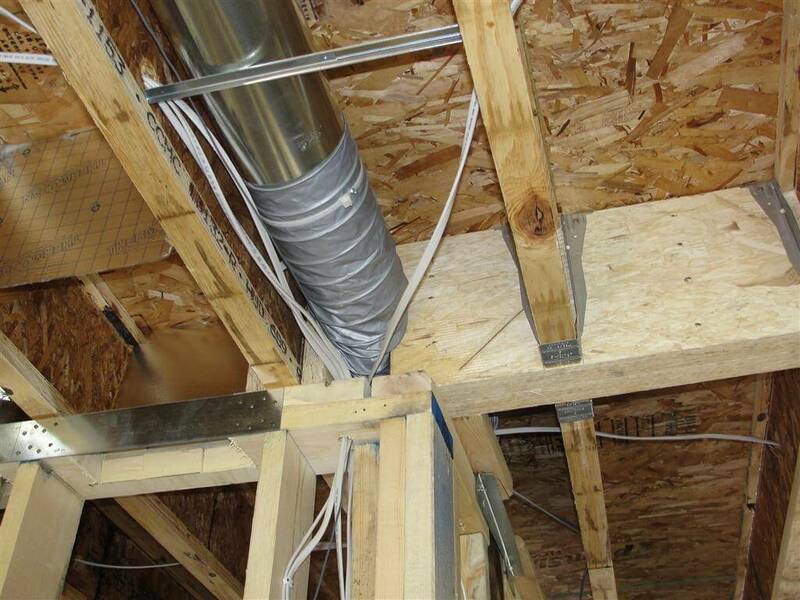 I find a lot of loose and sloppy HVAC ductwork on new construction inspections. I removed the register cover to show this loose ductwork. Toekick register covers are sometimes forgotten about, because you can't see 'em unless you bend down. As you can see, this one was skipped. 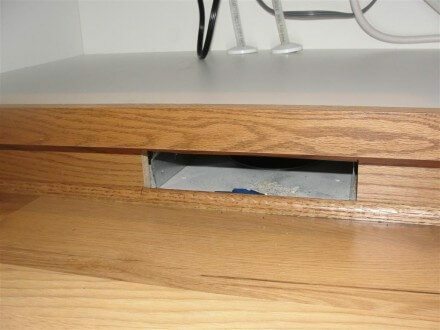 Sometimes the register covers get missed because the carpet installers hide the registers. 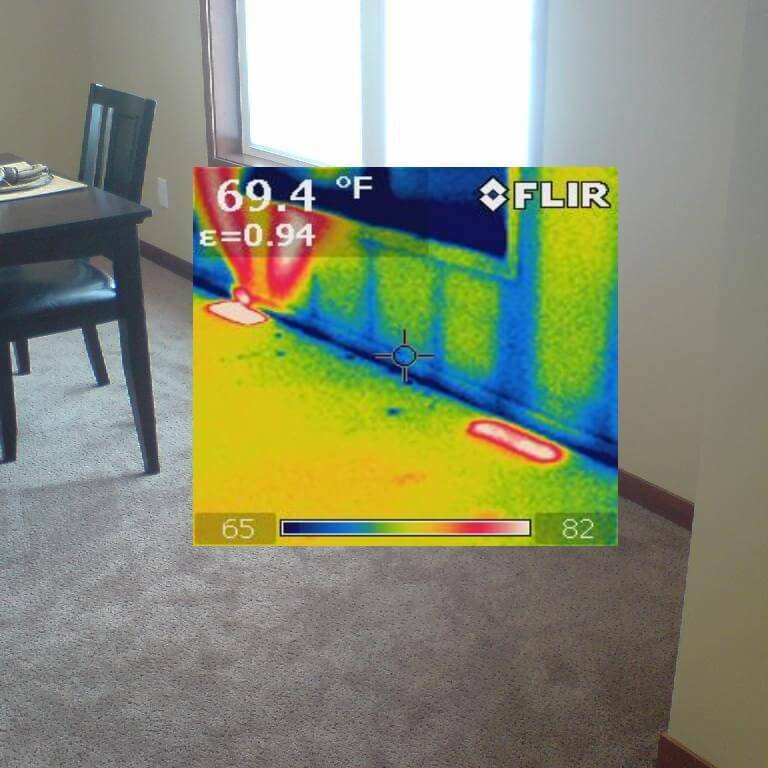 The image below, right, shows an infrared image overlay. Oops. 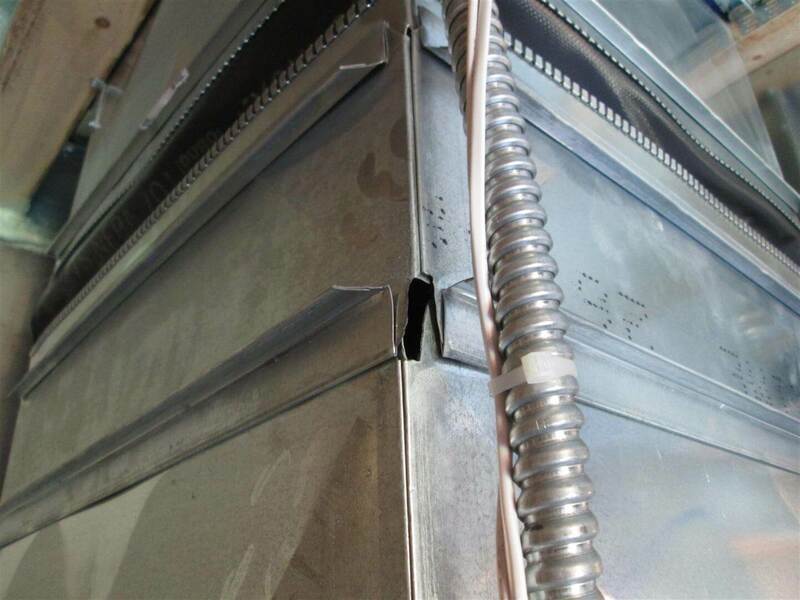 Gaps like this in the ductwork means unwanted air leakage. When ducts are crushed, air flow is seriously reduced. I found this crushed duct at a recent pre-drywall inspection. The ground always settles around new houses. Sometimes, it settles very quickly. 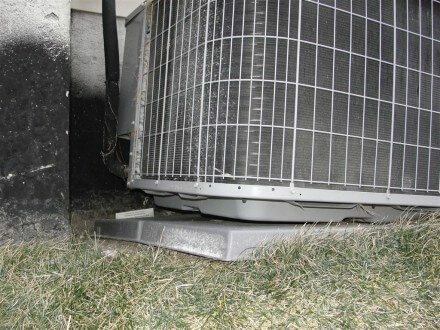 When this happens, air conditioners can tip. When they tip too much, this places stress on the refrigerant lines. 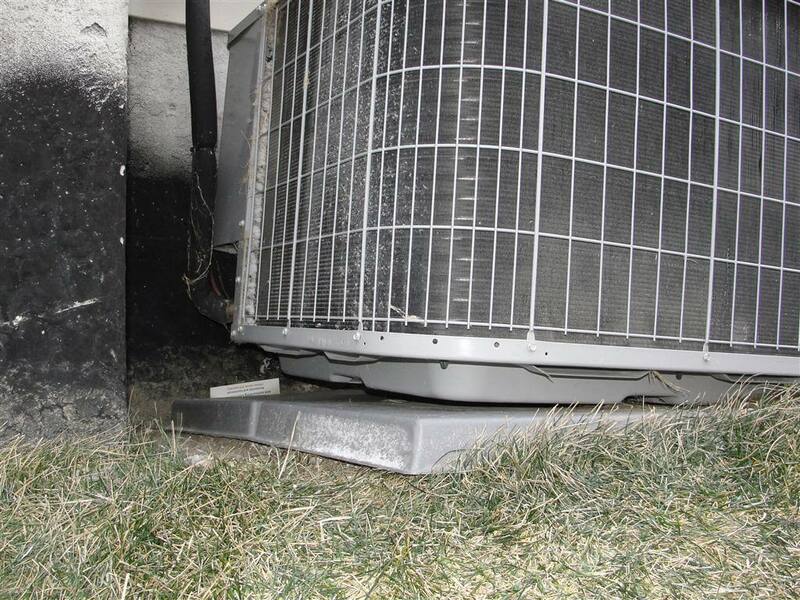 The air conditioner shown below was only two years old, and it was already hanging from the refrigerant lines. 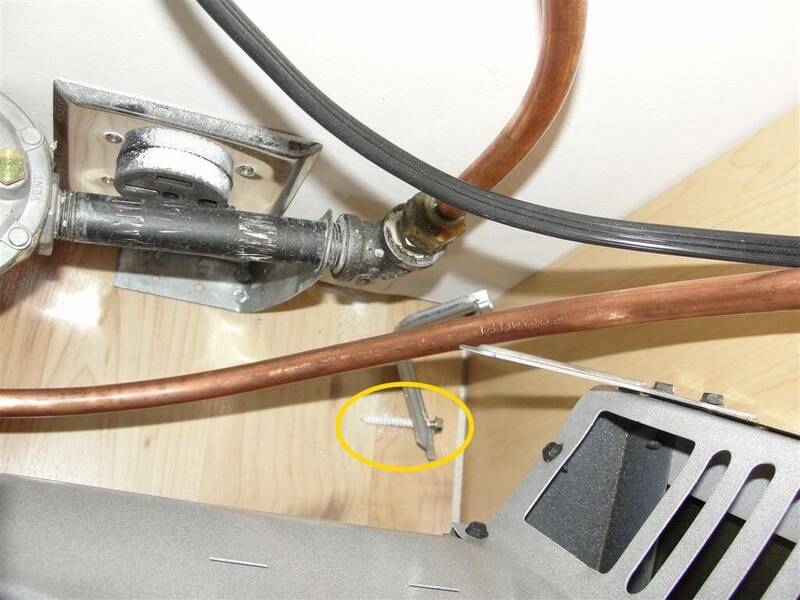 The photo below shows an anti-tip bracket for a gas range sitting on the floor behind the range. When I pulled the range forward to make sure the anti-tip bracket was properly installed, I felt it give way. Someone had simply screwed the bracket in to the drywall. That doesn't do much good. This was a brand new gas fireplace that was leaking exhaust gas. 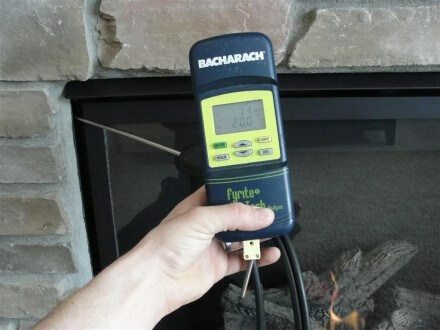 This needs to be fixed before the fireplace gets used. 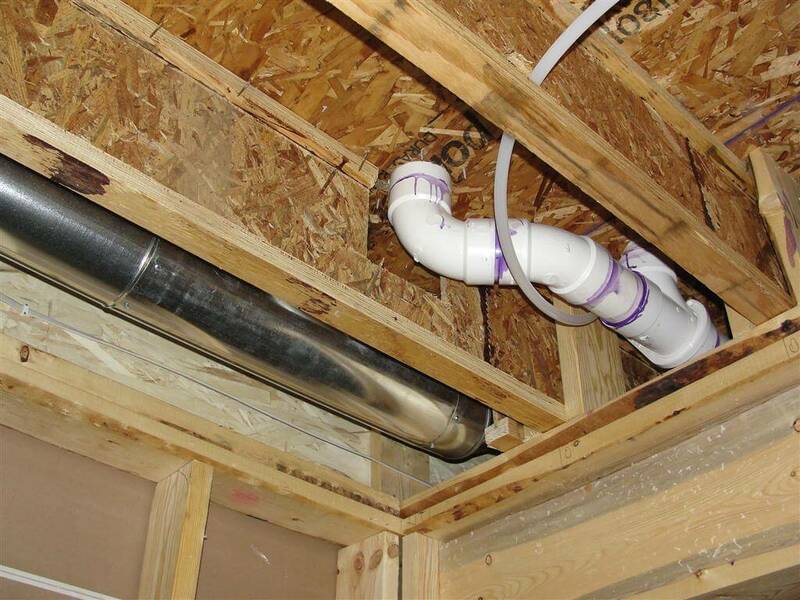 As with the photos of the furnace and water heater vents shown above, plumbing vents and drains need to be pitched so water drains out. I added the blue in the photo below to show where water will end up sitting. 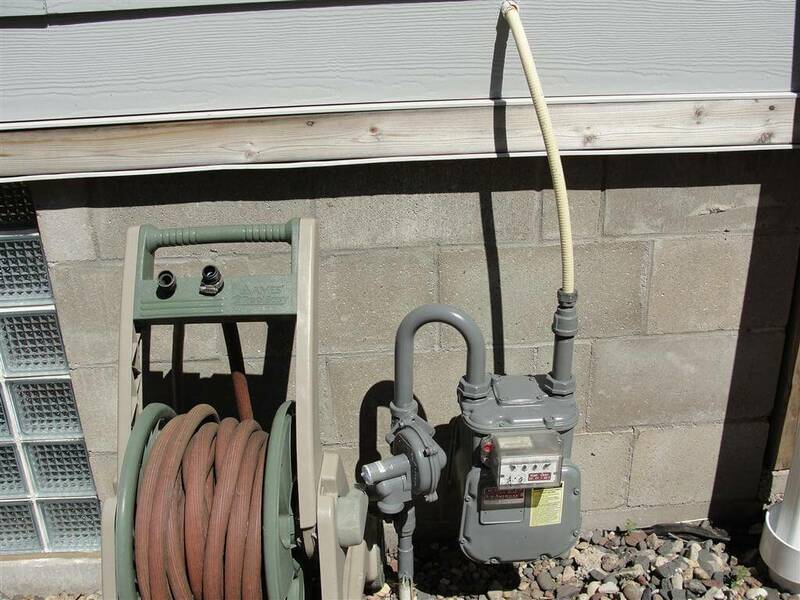 When CSST gas lines are used, they need to be properly bonded to reduce the risk of fire from a nearby lightening strike. This doesn't always happen. 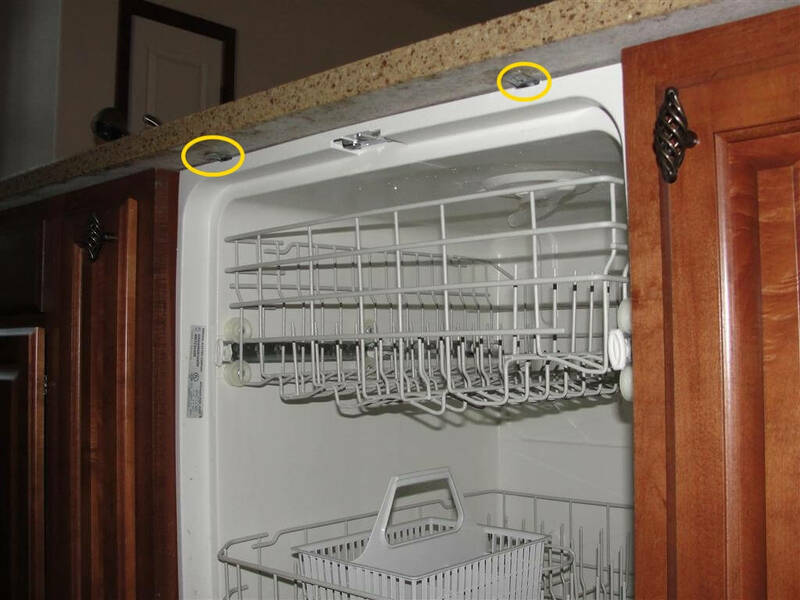 When dishwashers are installed below granite countertops, they're often not attached because nobody wants to drill holes in the granite. 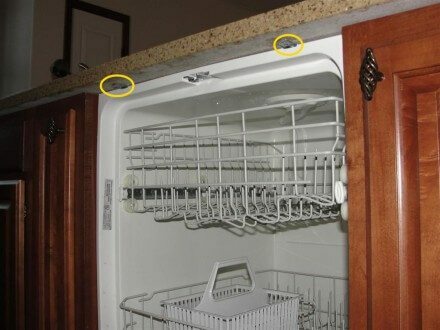 I've probably seen half a dozen ways of attaching the dishwasher without drilling holes in the granite top; I'll have to start taking pictures of those methods and follow up with a blog post on this topic alone. Brand new dishwasher installations usually work fine, but not always. This dishwasher leaked like crazy. 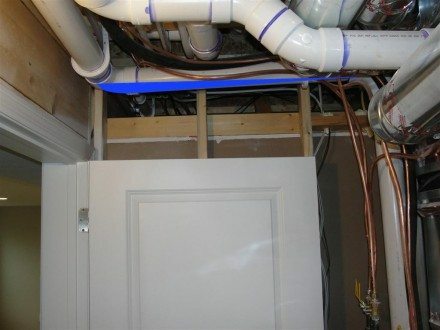 I was inspecting the basement when the leaking started, so I was able to run upstairs and turn it off immediately, but a lot of water had already leaked underneath the cabinets and in to the subfloor in the kitchen. Of course, this is one of those things that the builder would unquestionably fix, but far better I find it than the homeowner. Can you imagine what a mess this would have been if the new homeowner had already moved in and the dishwasher leaked in to the basement all over their stuff for a full cycle? 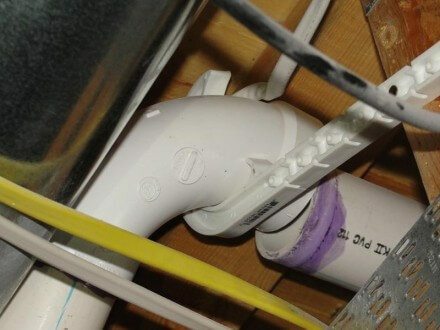 When there is an access panel present for the bath tub drain, I usually inspect the bath tub by filling up the tub to the overflow, and then observe the overflow from the access panel to make sure it isn't leaking. Unless, of course, the access panel doesn't really give access. I have dozens of photos just like this one. Every gas appliance needs to have a union, or some method of disconnecting the gas piping after shut shutoff valve. It obviously doesn't do much good to have the union installed before the shutoff valve. 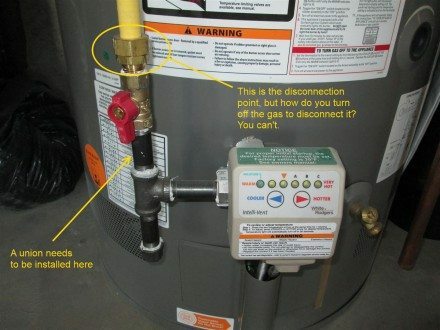 This is a detail that occasionally gets forgotten about on water heaters. Even on new construction. 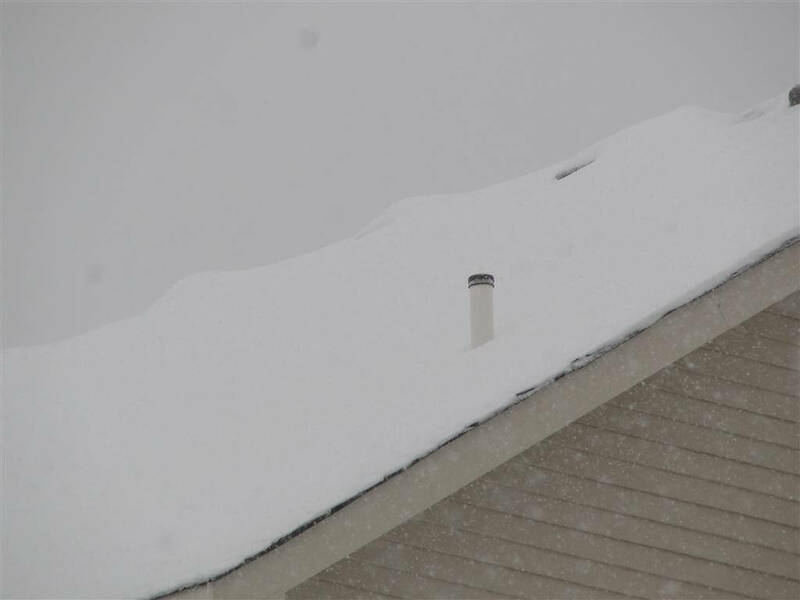 After the drain, waste, and vent system has been tested, the test caps on the vents at the roof need to be removed. About 10% of the time, they get forgotten about. This effectively disables the vents. 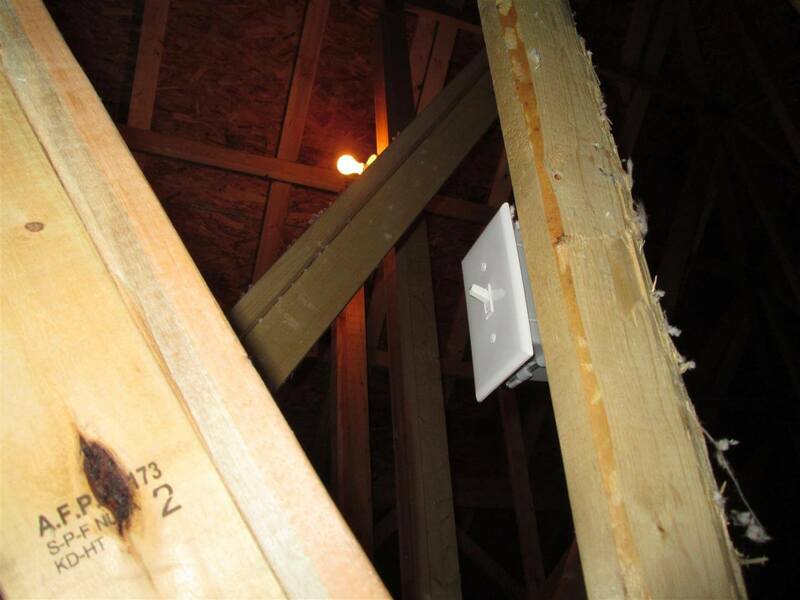 I don't find a lot of electrical defects on new construction homes. This is the one trade where the installations are almost always very clean... almost. In the photo below, there are two neutral conductors connected to a single terminal. 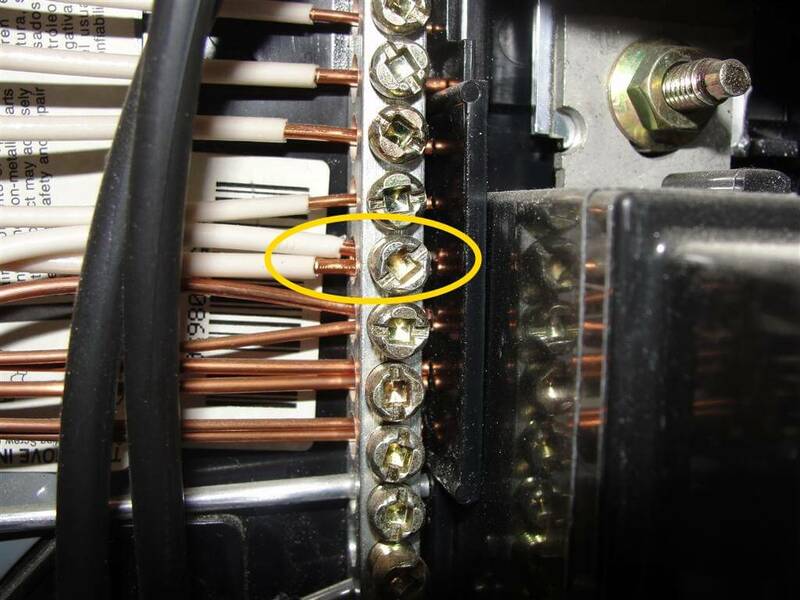 Each neutral conductor needs to be connected to its own terminal. 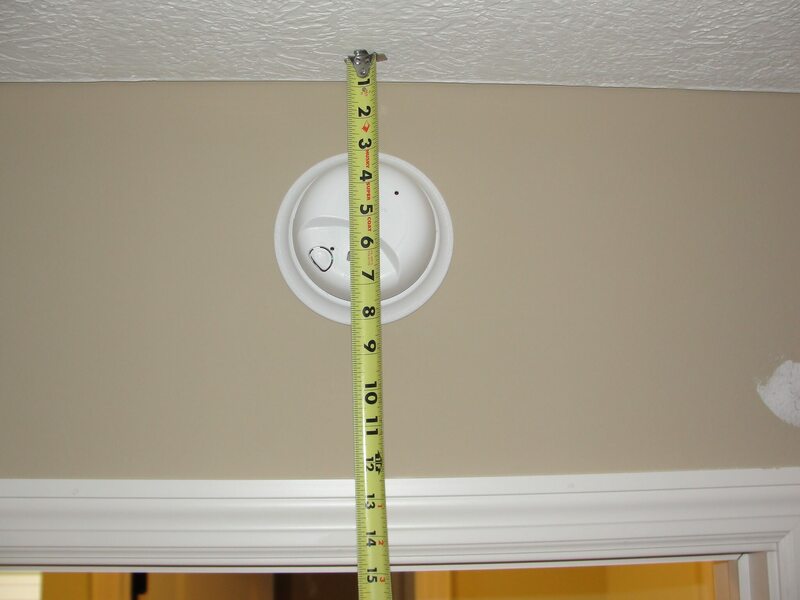 Smoke alarm manufacturers require smoke alarms to be installed at least 4" down from the ceiling, measured from the top edge of the smoke alarm. This is a new construction home. 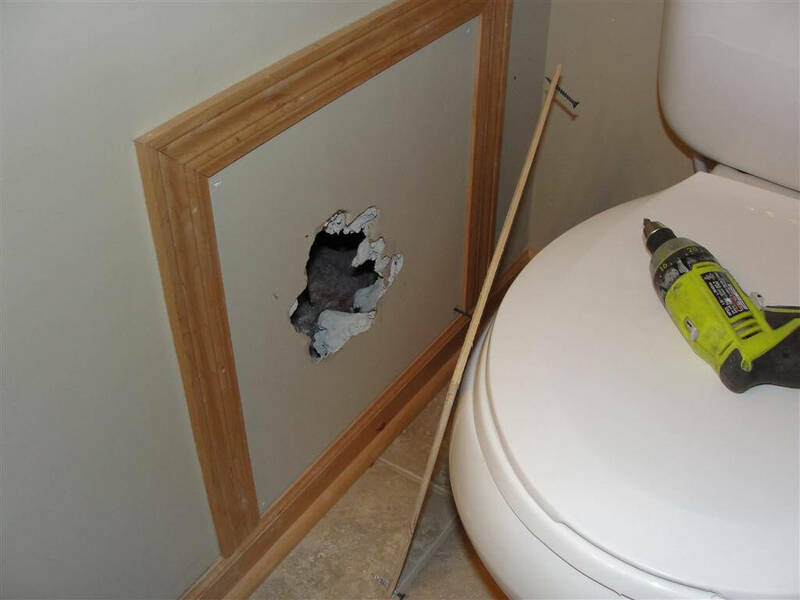 It looks like the plumber decided to cut a big chunk of the floor joist out so the toilet could go where he or she wanted it. 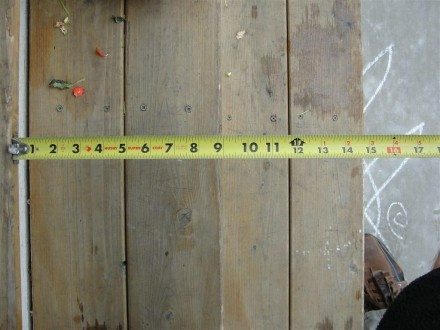 The top chords of these floor joists aren't supposed to be cut out or notched. 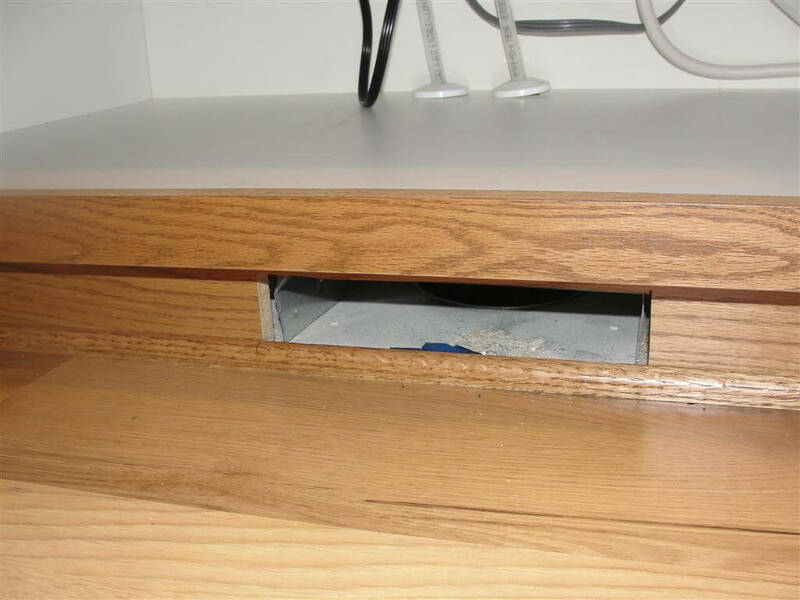 It's very rare that we don't 'break the seal' at the attic access panel in order the inspect the attic. 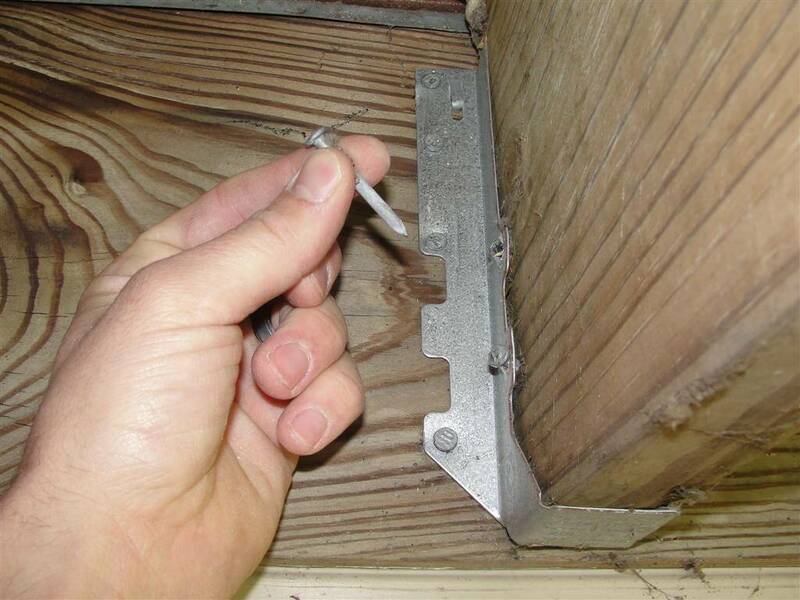 This is an important part of every home inspection, even in new construction. I broke the attic access seal on a new construction home about two weeks ago and found the light was left on in the attic. 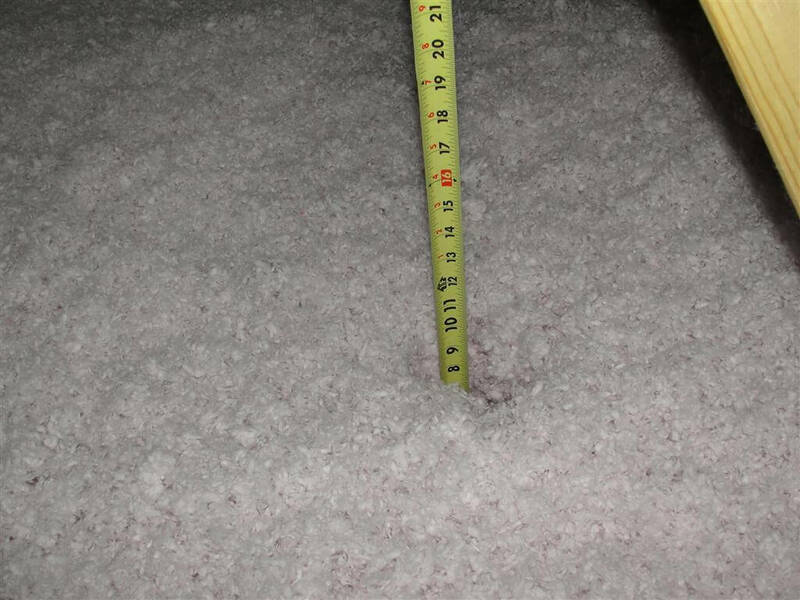 Just because the insulation installer left a placard in the attic stating the insulation depth, it doesn't mean they followed through. It should, but it doesn't. 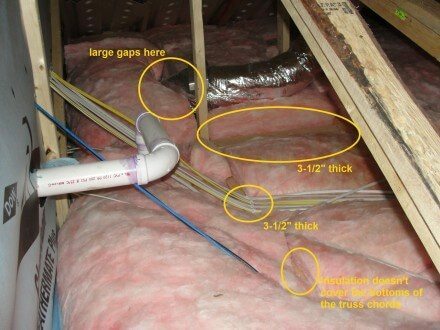 Some areas of the attic pictured below had nearly less than half of the minimum required amount of insulation. 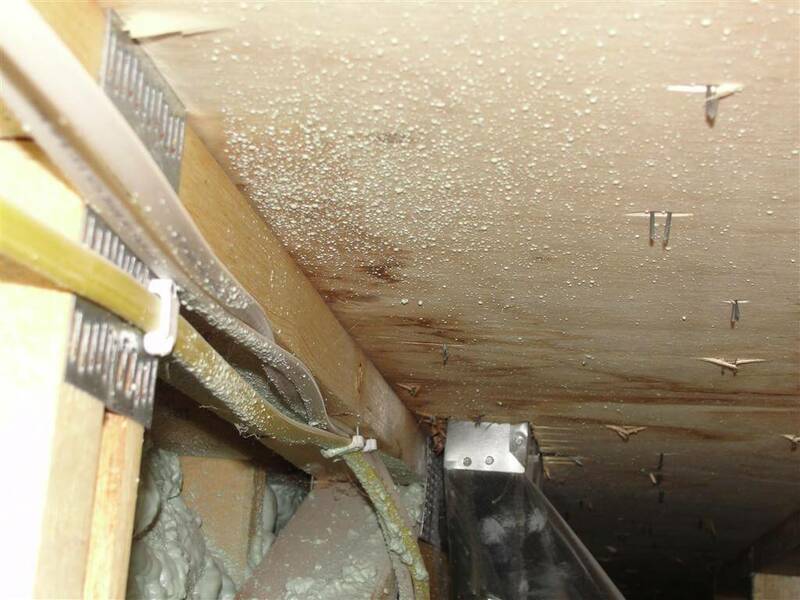 Fiberglass batts do a terrible job of insulating attics because they're impossible to install properly - they end up leaving gaps all over the place. In the middle of the photo below, the insulation was compressed down to 3-1/2" thick, which is completely inadequate. This is new construction! 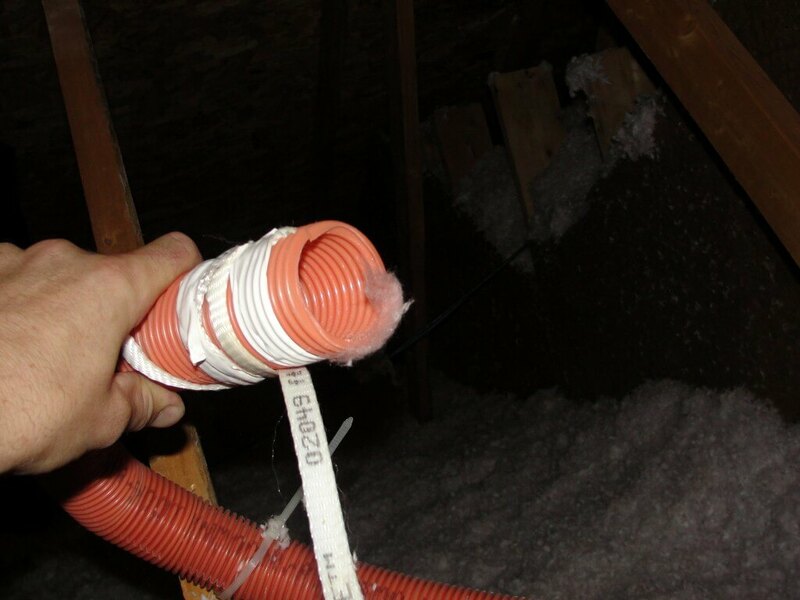 When data tubes end in the attic, the ends need to be sealed off to help prevent them from pumping conditioned air in to the attic like a chimney. I could go on and on with these photos, but hopefully I've made my point. If you're buying a new construction home, hire a private home inspector. If you recently purchased a new construction home and you're still within your one-year warranty period, get a home inspection. 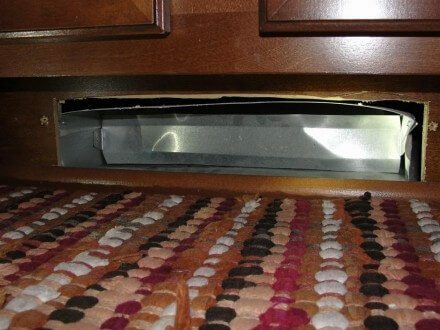 "You're wasting your money on a home inspection and we're not going to fix anything."